The Algoma Area Chamber of Commerce and Visitor Center is pleased to announce the hiring of Sharon Hedrington for the newly created Visitor Services and Volunteer coordinator position. Sharon has been an Algoma community member for 35 years. She was an original volunteer when the Visitor Center opened in 1993. She has extensive background in small business ownership, having owned and operated Wood N Art, which focused on selling handmade gifts in the craft market. Some may recognize her from her many years working at the Algoma Long Term Care Unit. 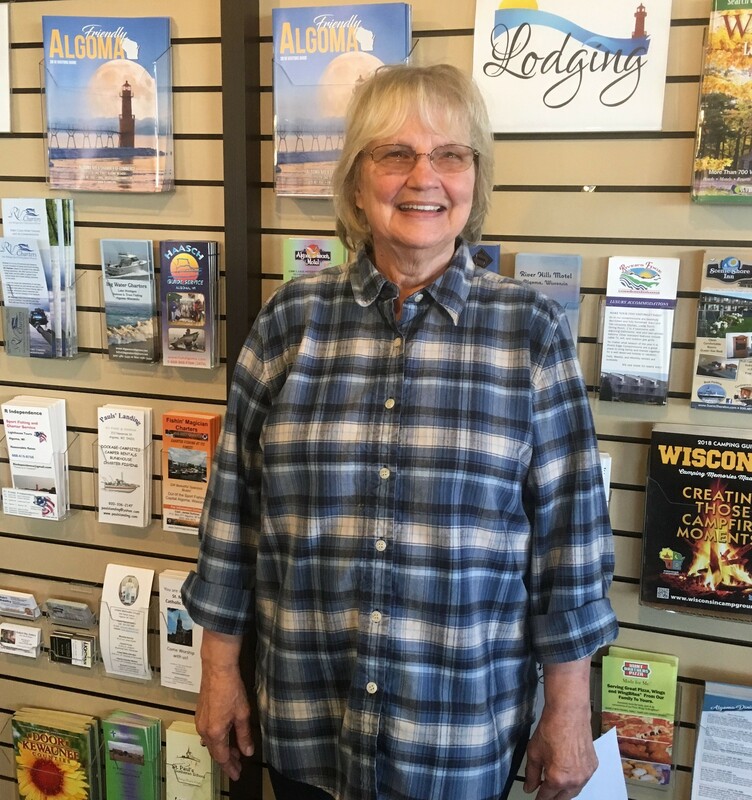 Sharon will be handling the training and scheduling of volunteers, sales of souvenirs, brochure management and any other duties that pertain to making visitors to the Algoma area feel welcomed and cared for.